Looking for pipelayers for sale? We offer a wide range of pipelayers for sale including the Challenger 583K. The Hydraulic Attachment CP583K is designed for mounting on a Caterpillar D8K or Komatsu 155 Tractor. 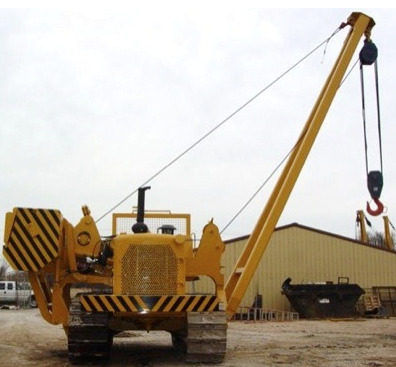 With a lifting capacity of 140,000 lbs. your project will have the strength it needs to finish. We also offer a wide range of accessories for sale and equipment for rent. Call us today to see how we can help.